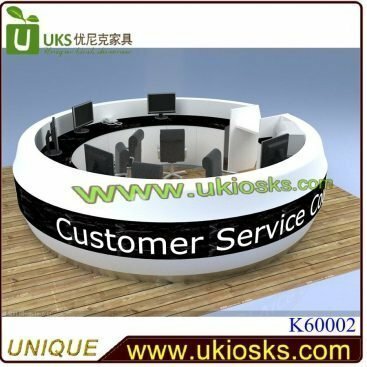 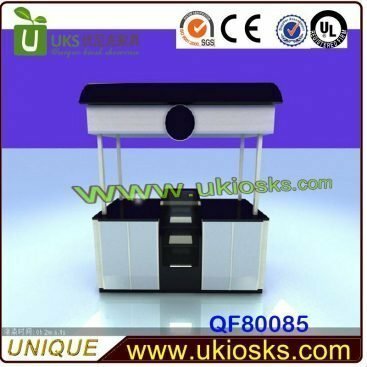 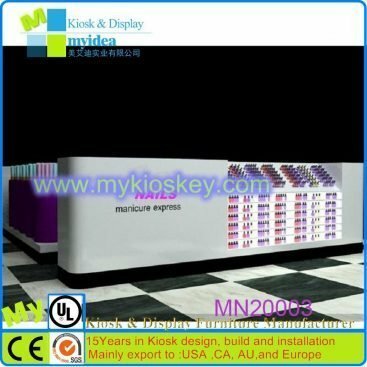 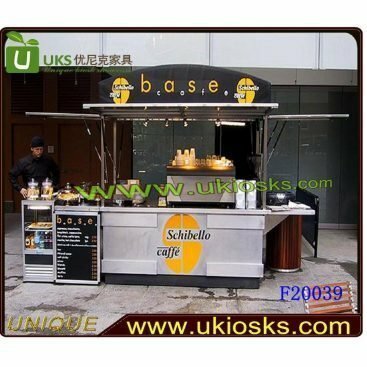 Dear friend, thanks for your inquiry about bar counter design for shopping mall, this is Shenzhen Myidea furniture ltd, we mainly do customized, all of our kiosk are customized,such as food kiosk, food cart , nail kiosk, hair kiosk, teeth kiosk, eyebrow kiosk, perfume kiosk, jewelry kiosk, cosmetic kiosk and so on. 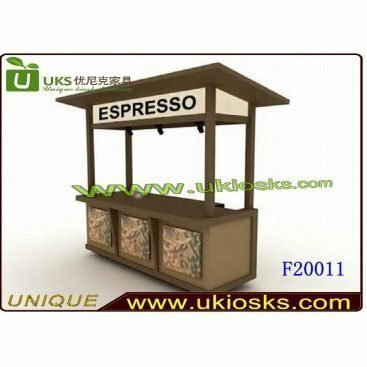 1.Cabinet the main material is plywood + laminate . 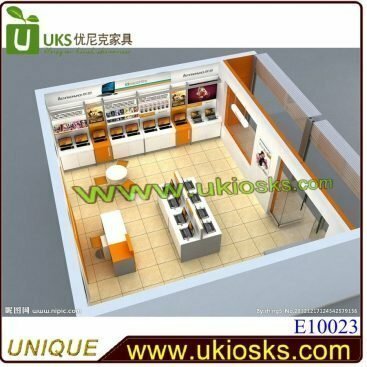 3.Kicking stainless steel,it can be more easy to protect the edge of the cabinet from damage. 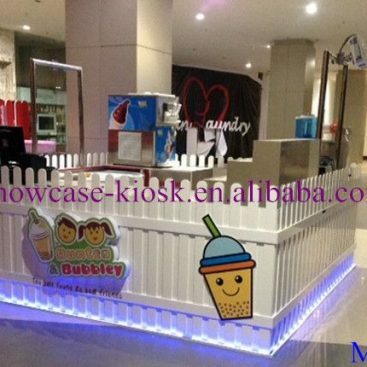 4.Logo customize according to your requirements.